Our library contains articles and briefs written by our lawyers and other documents and references we think will be interesting and useful to our visitors. Tom is a Fellow of the American College of Trial Lawyers and a Fellow of the International Academy of Trial Lawyers. 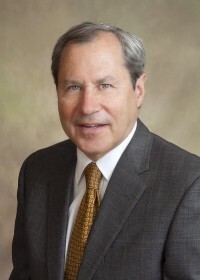 He has served as president of the Virginia Trial Lawyers Association (VTLA) and the John Marshall Inn of Court and as Chair of the Boyd Graves Conference, a group of judges and lawyers who study and recommend improvements to the Virginia civil justice system. Tom’s skills as an advocate for his clients have been recognized by his peers. Most recently he was named Best Lawyers’ 2012 Richmond Medical Malpractice Lawyer – Lawyer of the Year. He was also selected the 2009 Lawyer of the Year, Personal Injury Litigation (Virginia) by Washington D.C.’s Best Lawyers®. Richmond Magazine selected Tom as the top lawyer in medical malpractice, product liability and personal injury litigation based upon a survey of 2,000 practicing lawyers. He is listed in the publication Best Lawyers in America®. Virginia Business Magazine selected Tom for inclusion in the 2012 Virginia’s Legal Elite, Civil Litigation. Tom’s special interest is cases involving complex medical, scientific and engineering issues. He has represented persons harmed by defective products, medical malpractice, serious vehicular accidents, and other wrongful conduct. Tom has also tried defamation, land use, property, environmental and civil rights cases. In addition to representing clients at trial, Tom has had an active practice in the appellate courts. For information about published appellate decisions in which Tom has been counsel for the prevailing party, please visit our Library. Tom has also lectured and written extensively on civil procedure, civil trial tactics, expert witnesses, product liability and medical malpractice. For a listing of his presentations and copies of papers authored by Tom, please visit our Library. Tom is an “AV” rated lawyer. This is the highest peer review rating bestowed by the Martindale-Hubbell listing service. An “AV” rating identifies a lawyer with very high to preeminent legal ability and very high ethical standards as established by confidential opinions from other lawyers and judges. Please click to view Tom’s complete curriculum vitae. Virginia Military Institute, Lexington, VA, 1972 B.A.